Uber is stirring up the pot again, and the president is calling for a fix to immigration — this is your tech rewind of the week. 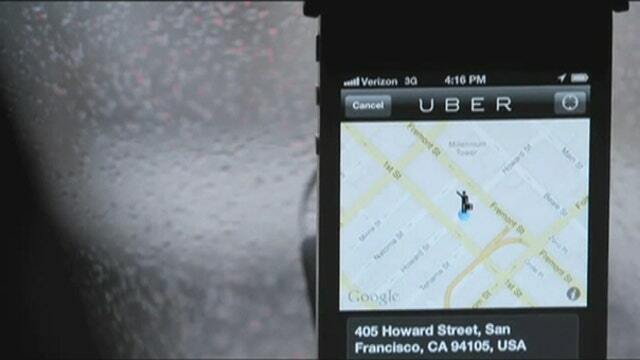 Uber is stirring up the pot… again. And the president is calling for a (temporary) fix to the nation’s cumbersome immigration system -- this is your tech rewind of the week. But for big tech, the tweaks may not be enough. Companies like Intel (NASDAQ:INTC) and Microsoft (NASDAQ:MSFT) have long pushed for expanded visa access, and insiders say the changes, though positive, are still limited. On the topic of big tech, sometimes breaking up is actually not at all hard to do. In fact, old-name tech companies are taking a cue from scrappy newcomers and slimming down their operations to boost their bottom lines. While not a new trend, analysts say the better the economy, the more deal-making that can ensue. That, and activists prodding at them to morph. Meanwhile, a New Jersey-based real estate company confirmed Friday morning it is leasing out a space in Penn Plaza to Amazon (NASDAQ:AMZN). The news come weeks after reports surfaced the e-commerce behemoth had plans to expand its physical footprint with a brick-and-mortar space in the Big Apple. Not before, however, actor and Uber-investor Ashton Kutcher came to the car-booking company’s rescue in the form a tweet-storm defending Uber for finding “shady” journalists’ skeletons. Only later to clarify he was speaking on his behalf only, not Uber’s, to be sure. In less-fiery Uber news, the ride-sharing company inked a deal with music streaming service Spotify allowing premium Spotify users to sync up their playlists to their Uber accounts, thereby making them DJ’s during their rides. Uber CEO Travis Kalanick said the partnership aims to create “highly evolved experiences” for customers, and for Spotify, CEO Daniel Ek said it would help the music business connect with non-car-owning Millennials. Beginning Friday, the feature will be available in 10 cities including London, Mexico City, Nashville, New York and Stockholm. Continuing on the topic of music, Apple (NASDAQ:AAPL) is reportedly going to add Beats into its iOS operating system so that would make the music platform available to iPad and iPhone owners as early as next spring. IBM (NYSE:IBM) unveiled a new email application for businesses that combines social media, file sharing and analytics to understand behavior through coworker interactions. The new service marks a recent shift at IBM toward cloud computing and data analytics from its longtime hardware core. Facebook is also attempting to pivot. The social networking giant is reportedly launching a professional network, dubbed Facebook at Work, geared toward businesses, pitting it directly against LinkedIn (NYSE:LNKD), as well as Microsoft and SalesForce.com (NYSE:CRM). The company is also capping political campaigns on the site, according to Yahoo News, which first reported the unexpected move. Through a change in code, an app that helped supporters target friends on Facebook during the 2012 election will be shut off.